After specializing in Marketing and IT from Sri Balaji Society – 2006-2008, I was placed in DNA Newspaper through campus and joined them as a Management Trainee and got promoted to Deputy Manager- responsible for driving ad sales through premium auto vertical. After gaining experience in sales and help from Sri Balaji Society senior alumni network, I got into retail marketing for LG Electronics. I was managing the retail marketing for the consumer durable division for WB and Odisha based out of Kolkata. I won the prestigious MD award for the best marketing manager of 2010. Helped the brand to gain visibility share by 2% in the fiscal year. Also conceptualized and executed the visual merchandising program for all GTMs. Sri Balaji Society Impact: The grueling schedule of classes 365 days helped me immensely both physically and mentally to cope up with the work culture at LGEIL. 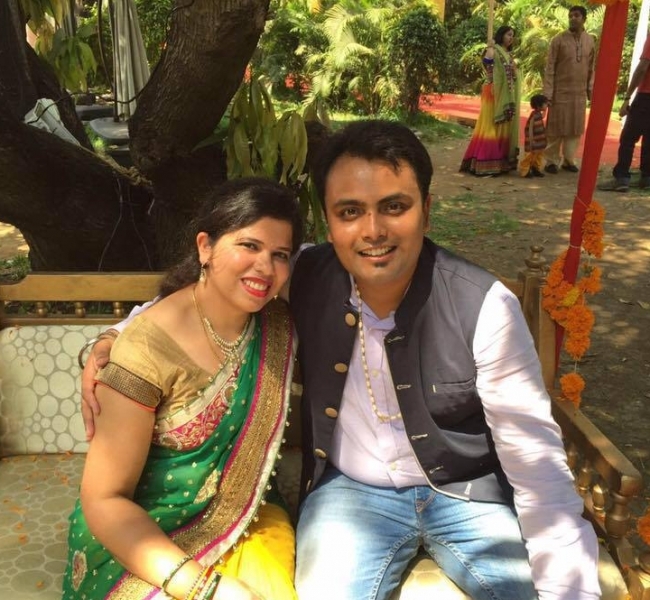 I got married in 2012 and my wife was working with Wipro in Bengaluru, so had to move with her and got an opportunity to work for Panasonic as marketing manager for Karnataka. Responsible for driving demand generation, channel engagement and retail visibility activities. Adjudged the marketing manager of the year in 2012 for outstanding performance. Sri Balaji Society Impact: various subjects and challenging environment at SBS has helped me adapt to new challenges at new places. The experience at SBS to move out of comfort zone has shaped me the person I am today. I was doing well and got an opportunity to work for Samsung in the Smartphone marketing for entire south. Joined there as a regional marketing manager for modern trade vertical. Responsible for delivering 2% share growth in LFR business. Have played a pivotal role in the launch of Note 3, Galaxy S4 and S5. Currently working with Dell Technologies and lead in retail marketing for India and supporting Indonesia as well. Responsible for driving retail experience and visual merchandising. Managing demand generation activities to help driving sell out. Won Gold and Silver award for outstanding performance. Have developed and launched a mobile app for Dell Sales folks in the name “Dell Exceed” available with both IOS and android. Sri Balaji Society Impact: The 3Ds, Dedication, Discipline and Determination got imbibed in me in those two years. It has helped me to look at every situation in a more positive and different way. I call myself an innovator, who loves communication, ideas and creativity and is dedicated to seeing my clients' succeed. A 8.5 years industry experience in business strategy, brand management, events, creative, technical, production and business development. I consider myself a very hands-on, easy going person and a team player. I always focus on bringing innovative thinking, strategy and custom solutions to enhance my clients' ability to achieve higher ROI. I had a chance to work in corporations like LG Electronics India Pvt. Ltd, Panasonic India Pvt. Ltd, Diligent Media Corporation and currently working with Samsung India Electronics Pvt. Ltd. I led numerous new product launches, integrated marketing, PR & media events, Brand strategy, sales meetings, B2B & B2C trade shows and promotions, investor presentations, live programs etc. Brand engagement, Experiential marketing, Sales, Marketing, PR. On a personal note, I live with my parents and wife in Bengaluru. My father is an ex IAF personnel and my mother is a homemaker. My wife is a software engineer and works with Continental Automotive. I pursue photography as my hobby and do stand-up comedy.